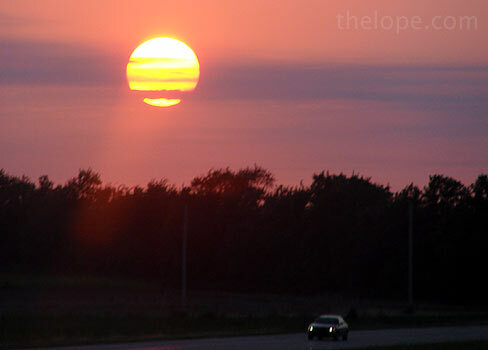 The sun set along Hwy 400, just inside the Reno County, Kansas, line, Friday night. The Dutch Mill Bakery sign in Yoder, Kansas, offers this neon windmill with "motion." 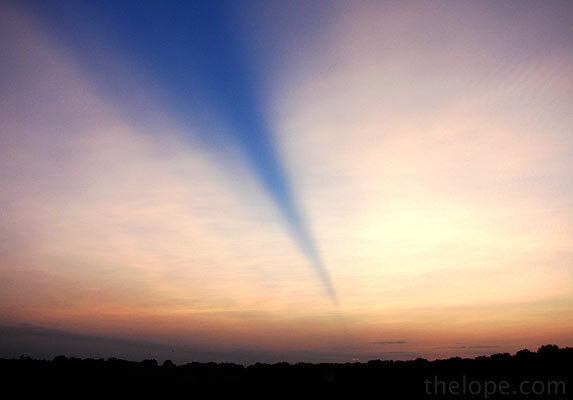 Along Yoder Road, clouds in front the already-set sun cast a dagger-like shadow. 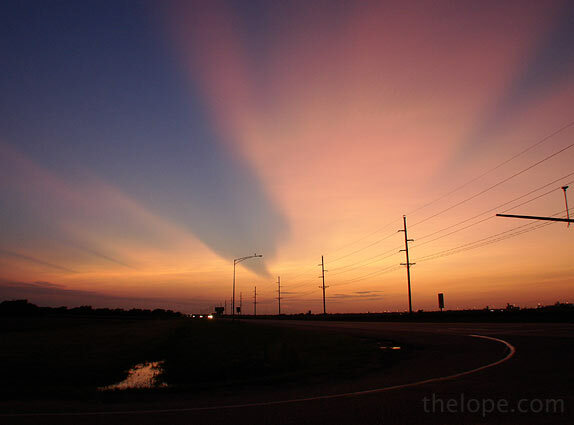 This it the corner of Yoder Road and hwy 50, looking west down 50. 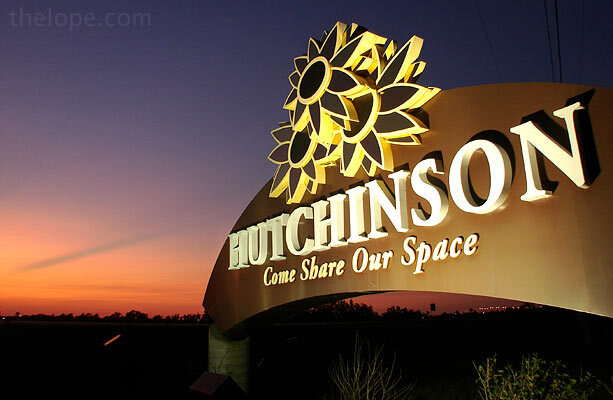 The Hutchinson sign is along hwy 61 as you head north into the city. This isn't in Hutch, but you know what'd be cool? 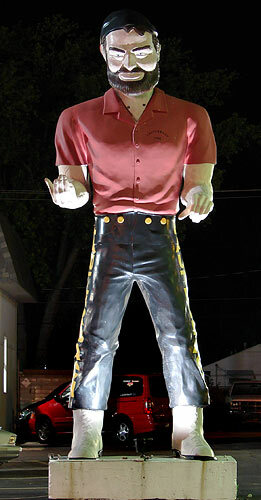 A Muffler man similar to the one above in Springfield, Il, but customized for Hutch with a shirt bearing the city slogan, holding a Mercury-Redstone rocket to symbolize the Cosmosphere (the local space museum) and wearing a salt-mining helmet with lamp that really lit up at night. That would draw the roadside attraction tourists like the beacon that it really would be. I'm serious, you know. 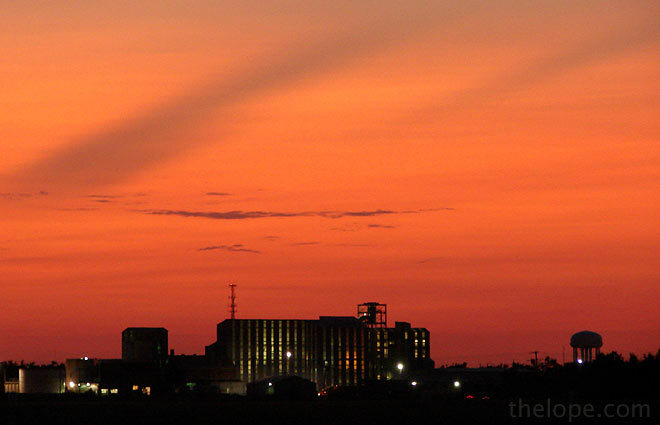 The Cargill Salt evaporation plant hums steadily in Hutchinson.